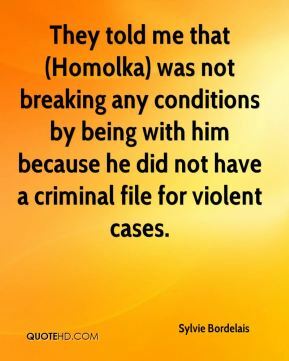 They told me that (Homolka) was not breaking any conditions by being with him because he did not have a criminal file for violent cases. 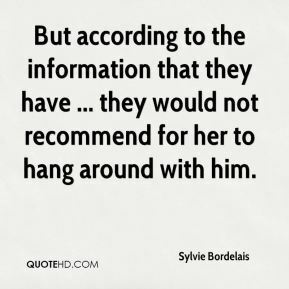 But according to the information that they have ... they would not recommend for her to hang around with him. 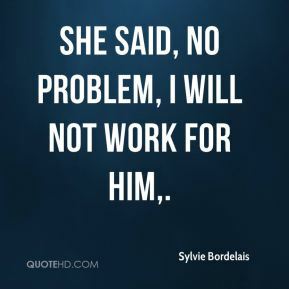 She said, no problem, I will not work for him. 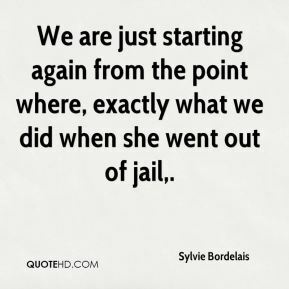 We are just starting again from the point where, exactly what we did when she went out of jail. 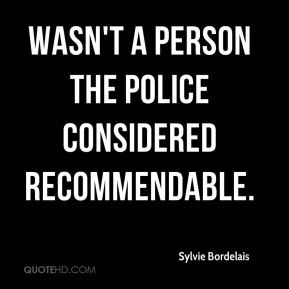 wasn't a person the police considered recommendable. She came out of jail not knowing what she would be facing, not knowing what awaited her. 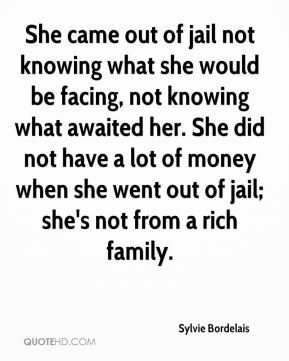 She did not have a lot of money when she went out of jail; she's not from a rich family. I hope your job offer is serious. 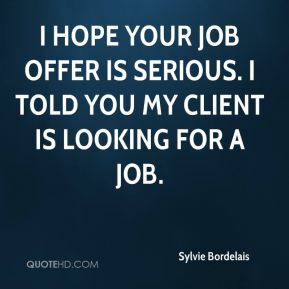 I told you my client is looking for a job.